Are you interested in taking the Ancestry DNA test? But you wonder how to protect your Ancestry DNA privacy. Do you want to know more about your family history but at the same time you are concerned about the integrity of your personal information? Well, in this post I will discuss how you can protect your privacy and set your mind at ease. 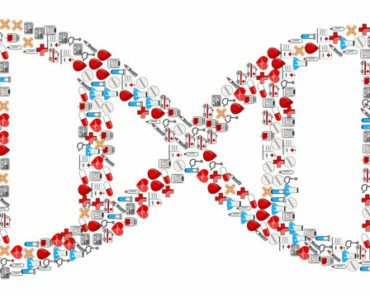 You are probably thinking about taking the next step in your genealogy research, DNA testing. You have heard about this latest research tool and want to know how it can help you. But there is something holding you back! Do you want to know how to protect your AncestryDNA results, but also how you can share your data with only selected people? If you have answered yes to both then please read on. I will answer the most pressing questions you may have concerning the privacy of your data. Before you do though continue reading this post I would like for you to watch the following short video. It will show you why you should trust Ancestry with your DNA test results. Where Is Your DNA Sample Tested and Stored? What If I Want To Make Someone An Administrator? How Much Access Does An Administrator, Editor or gGuest Have? What Privacy Settings Can I Manage? Your primary concern is probably who is actually holding your DNA sample and where is it tested? Most of us, if not all of us, are concerned as to who has any this very personal information about us. And also you maybe wondering what are they doing with your information. We want to know that our data is being used with our best interests and that our data is not being shared without our consent. After all we are providing Ancestry.com with very important information. We are providing them with the genetic code of our human body. So, who is holding this information and is it safe? To set your mind at ease your DNA sample is tested and stored at a SECURE third-party testing laboratory. This laboratory incidentally is located within the United States. Taking part in the testing of your genetic code results in you agreeing to Ancestry DNA terms, conditions and privacy statement and the information being processed by this third-party. You are also probably wondering who can see your personal DNA results as well. You don’t want everyone accessing and seeing something that is so personal to you. By purchasing and activating the test online then you become the Administrator of your results, or rather Owner of your results. Please note: Ancestry DNA removed the Administrator feature to make it clearer that ONLY YOU can change your account. You are in control of your own information and you can set who you share this information with. You can do this by clicking the “Share” button that is found on your Ethnicity Results page at the top right corner. To add people who YOU WANT to share your results with you will need to enter their email addresses. Once you have entered all the email addresses of the people that you want to share your information with then you need to click on the “Send Invitations” button. Your recipients will then be able to access your ethnicity results. What if I want people to also edit my DNA results? There maybe reason why you want someone to not only access your ethnicity results but also edit them as well. This maybe because they wish to correct some information. This is possible by selecting the “Invite others to view DNA results” button within the “Sharing DNA results” on your Settings page. You can either select people in this way to either be a “Guest” or an “Editor“. Other Ancestry members that you have invited in this way will be able to see your ethnicity estimates and also a list of your possible DNA matches from your results. Whether you choose for someone to be a guest or an editor is your choice. What If I Want To Make Someone Else An Administrator? By default when you activate the DNA test online you will become the Administrator, or rather Owner. That means that you have full control of your DNA ethnicity results. However, you may wish for someone else to become an administrator instead of yourself. The reason for this change in the policy was because from concerns by people who shared their administrator rights. Or, even handed over control to others. Who knows what anyone other than you would do with the information that you have trusted on someone else. Sure they will be a relative but you never know. And Ancestry DNA have taken this concern very seriously. No longer will you be able to allow anyone else to gain access to your account and your details. It does though prove a problem for anyone who is not tech savvy who would like to take the test. How Much Access Does an Administrator, Editor or Guest Have? Since the Administrator feature is now obsolete you should disregard this section of this post. I have though kept it here in case you were wondering what was available pre-summer 2017. Within your status page you can manage a number of privacy settings. You can alter and make any changes by selecting the Settings link. Provided your an administrator of your DNA ethnicity results then you will have full control over them. You can select whether you want to show people your actual name that you signed up with Ancestry. Or, however you may decide that you want a username to be displayed so that you may have some anonymity. 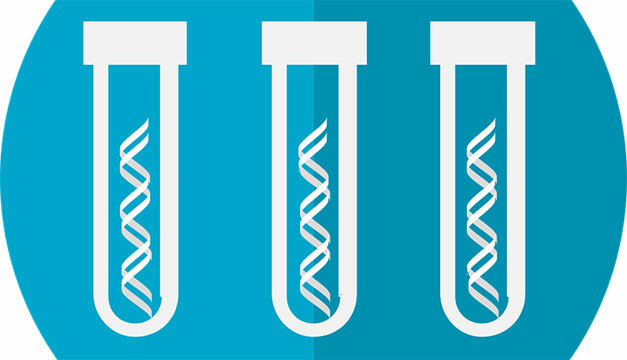 You can choose whether you want to be notified by email if there are any DNA matches connected with your results. If you do want notifications then you can select whether you would want them weekly or monthly. You can actually decide how much of your results that you want to share with others. When AncestryDNA compares your DNA with other members they can also check to see any comparisons with your family tree that you have created online and the member’s as well. This is only possible if you have linked your family tree with your DNA results. So, for a higher chance of making connections with distant cousins this option should be selected. This option I have already covered in the previous question. But suffice it to say with this selection you are able to select whether someone can view or edit your data, or ultimately take control of your information and become an administrator. If you decide to do so then choose to remove a link to your ethnicity estimates that you may have shared. If at any point you want to delete your DNA test and result then you are completely able to do so. If you do decide to do so then you will have to enter your password to confirm this decision. If you have allowed other people to view your results then they still may be able to see this data. Also, AncestryDNA may retain your data even after you have deleted your test and results. This is to help prevent identity theft and any misconduct performed by members of AncestryDNA. Having full control of your information is always peace of mind for you. You want to know who can access and edit any of your private details. It is also assuring that your information is tested and stored at a secure third-party laboratory. AncestryDNA does offer you various different levels of control. And if for some reason you are not entirely happy with the testing and/or results then you can delete it all if you wish. In that respect I do like that Ancestry does offer you that choice. Even though your test results may not be perfect, (what is in life? ), Ancestry DNA can at least point you in the right direction. Making connections with distant cousins is also not only impressive but can help you to further your genealogy research. I therefore think that DNA testing is here to stay and can only get better as scientists learn more about our DNA and can become more and more accurate over time. To further ease your concerns regarding these questions that you may have I would like to direct you to the Ancestry Privacy Center. Here you can more into how your DNA data is protected, all about your privacy settings, and also how are living people protected by AncestryDNA as well. 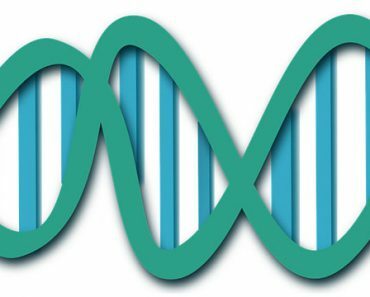 I hope you enjoyed this post discussing how to protect your Ancestry DNA privacy. If you have any questions or comments then please leave a comment below. Thanks for highlighting ways to protect our DNA results online. Is the DNA site HTTP Secure with the HTTPS protocol? It’s a concern of mine worrying that my DNA could be used for means outwith my control, if you know what I mean. I also don’t like how AncestryDNA are entitled to keep my DNA results even if I delete them. Is there any way round this? Yes they do use https Craig. I can understand your level of concern. I think anyone who wants to do a DNA test wants their information to be secured. As for a way around AncestryDNA keeping your information I’m afraid not. However, I will be reviewing other DNA companies shortly so will let you know what I find out in that regards. Results of Ancestry DNA test actually matters and I don’t anyone to know about get my personal information. I think linking my family tree can be really beneficial. We can even exchange information with members who have similarities. Is it allowed there and can we ask for some other member’s contact information? Linking your family tree can really help you further with this type of research. At the end of the day if you are passionate about tracing your family history then you will want to take this next step. Ancestry DNA will show you the members who may possibly share a connection with you. So you just message them and find out if they’re family. Call me old fashioned. I don’t think I would be interested in this too much because I am a private type person. It feels like I would be exposing a little too much information of myself. It is nice and all to know your family blood line but I don’t care for it to be at anyone’s access. I know you say you can do things to protect the information but just how secure is it? Each to their own when it comes to doing the DNA test. I hear what you’re saying and many people probably feel the same way. But there are a considerable amount of people who have taken the test and plenty more who are interested. As for how secure is it then I couldn’t give you a scale as such. What I can say is that as Ancestry is the number genealogy search website on the planet then I would highly expect them to take security seriously. It was interesting how you explained about the privacy of your data. I hadn’t thought about it before, although I should’ve. I would probably take the test anyway as I want to know as much of my family history as I can. Thanks for sharing this wonderful article really enjoyed reading it. Hi Alham, I am glad that I was able to inform you as to the privacy of your DNA data. It is important as it is what makes us who we are, isn’t it? If anyone is serious about their family history then why not take the next step? Who knows what you will find out and distant cousins you will find as well. What are the consequences when someone’s DNA is stolen? Besides, use for criminal and post-mortem report to trace the next-of-kin? what else? Well as yet I have not seen any reports that anyone’s DNA has been stolen. Ancestry would not want to jeopardize their reputation as the number one genealogy website. I’ve gotten the Ancestry test and your information about how they keep the DNA info safe is reassuring. It really is great how Ancestry gives users so much access to and control over their information, and it’s a great place to collect all kinds of genealogy info. It’s so interesting to see the ethnicity results, too! Thanks for the great info on dna privacy at Ancestry. I am glad that I could reassure you about the privacy of your data. I am glad that Ancestry does give so much control, even deleting your results if you wish. Finding out your ethnicity can help you see where you need to look next with your research. So if you’re scratching you’re head because you have lost your way or that you have hit a brick wall then why not give Ancestry DNA testing a go.